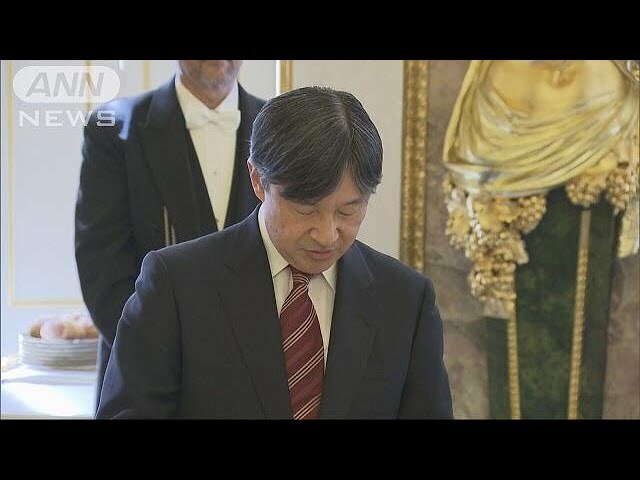 Japan's Crown Prince Naruhito has expressed hope for the further development of friendly ties with France in a speech he delivered in Paris. The Crown Prince is making an official visit to France to mark the 160th anniversary of bilateral friendship. He attended a welcoming ceremony on Tuesday in front of the building that houses Napoleon's tomb. The national anthems of both countries were played. The Crown Prince, along with French land minister Jacques Mezard, received a salute from French troops. The Crown Prince visited the official residence of the president of the National Assembly, the lower house of the French parliament. The vice president of the lower house, Carole Bureau-Bonnard, welcomed the Crown Prince at the residence. They shook hands before a luncheon. Bureau-Bonnard offered her condolences for the victims of the recent heavy rain and flooding in western Japan and the major earthquake that hit the northernmost prefecture of Hokkaido last week. The Crown Prince replied in French, expressing his deep gratitude to France for expressing a sense of unity with the Japanese people. He noted that Japan and France have continued exchanges and cooperation in a wide range of fields for 160 years.